Remind your clients of future appointments with these handy Post-it® notes. Write in client’s name, appointment date and time. Check box for day of week. 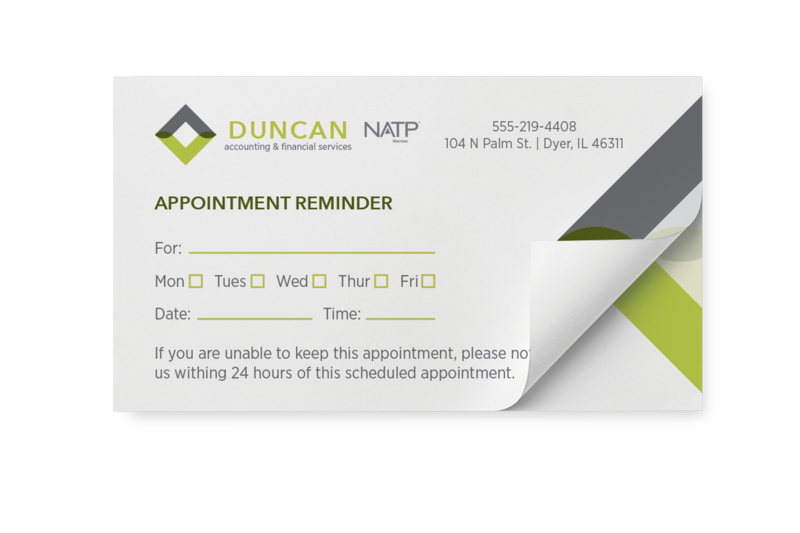 Personalize your notes with your contact information and logo. White note with full color imprint. Must be ordered in the exact quantity breaks listed. Step 3 – After you have approved and submitted your proof add the quantity you wish to order (6 minimum) and add to cart.